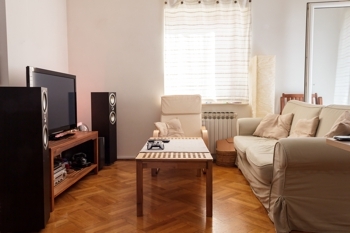 There are a few choice short-stay apartments in Cheltenham, which offer all the comforts of home within the city centre. Three of the four options offer fully functioning kitchens, some of which even include dishwashers and washing machines. The other option includes a smaller studio apartment with smaller kitchenettes that help you prepare just the basics, but also offers a free breakfast each morning. 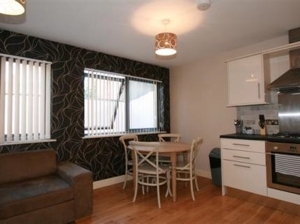 These Cheltenham apartments are great for visiting families, as having a full working kitchen can be useful for preparing meals should you tire of eating out every day. It’s also, inarguably, a good way to save a few quid. Most of the apartments also include a lounge area for the whole family to relax after a long day of exploring Cheltenham or the Cotswold countryside. With comfortable seating areas, televisions and free Wi-Fi, you’ll feel at home in the lovely regency town of Cheltenham. Douglas House offers beautiful apartment accommodation in the centre of Cheltenham with lounges and kitchens included in each. The elegant building will make you truly feel at home, as well as the modern and up-to-date furnishings of each apartment. Guests staying at Douglas House are even granted free access to the local Fitness First, which is just a 5-minute walk away. Facilities within the gym include a swimming pool, steam room, sauna, as well as spa treatments. The fitness centre, however, does not allow children under the age of 16. 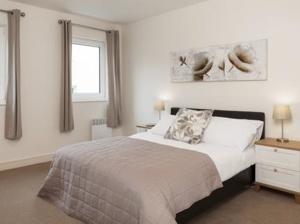 The Coliseum offers apartments with either one or two bedrooms in the very heart of Cheltenham. Each apartment has a fully equipped kitchen, including a dishwasher and a washing machine. The apartments are new with modern day furnishings and include free Wi-Fi. This is a fantastic place, which is ideal for families wishing to prepare meals and feel more at home whilst away on holiday. For disabled guests, these apartments are ideal, as there is a lift between the three floors. Well located in Cheltenham’s town centre, Trinity Lane Serviced Apartments offer a range of one and two bedroom apartments with free Wi-Fi, kitchens, LCD televisions and a comfortable living space for the whole family to enjoy. The apartments provide fresh towels and linens and some rooms even have small balconies. Unfortunately, however, there is no lift in the building, so anyone with mobility problems may encounter problems. 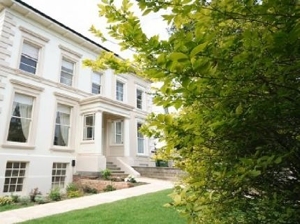 The Cheltenham Townhouse Hotel offers 21 bedrooms and 5 studio apartments, which include kitchenettes. Two of the studio apartments have double beds, whilst the other three offer more space with sofa beds to accommodate up to four people. The apartments even come with a full breakfast, which is relatively unheard of when booking apartment accommodation. There is also an “honesty bar” for guests to help themselves to drinks. 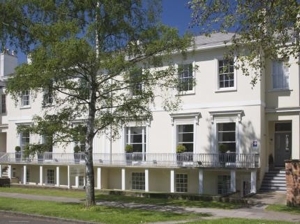 Located a stone’s throw to Pittville Park in the centre of Cheltenham, Cheltenham Townhouse Hotel offers a great centrally located base for individuals and families who prefer all of the comforts of home whilst away.